This year saw continued success for our juniors although study is becoming a bigger focus in many of their lives. 2015 is recognised as the year Eimear Smyth made a real breakthrough in competition. 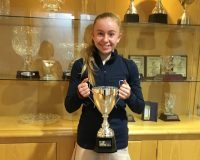 At the start of the year she emerged a very credible fifth in the National matchplays at U16 level in Waterford. 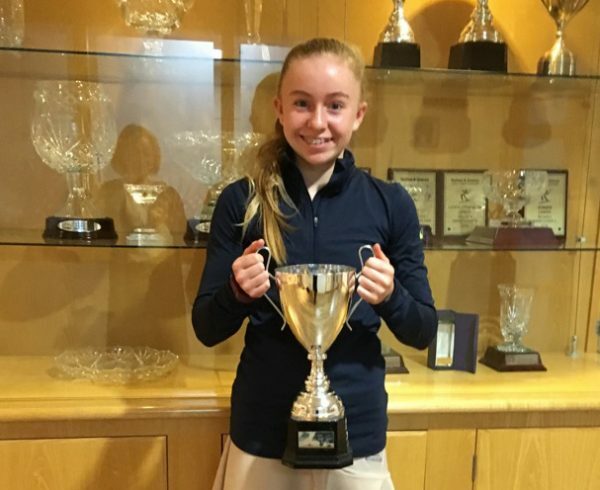 Eimear went on to win the singles in the Lakeland Veterinary Services Junior Championships. During the year, she beat both Sarah and Laura and is still only 15 years of age. There was success for 15 year old Sarah Cousins in the singles and mixed doubles of the County Derry Championships. 16 year old Laura Griffin took the singles in the West of Ulster Championships at Enniskillen. Ronan McKeever won the U16 singles at Castlebar. Jared Monaghan progressed to the final in Sligo. 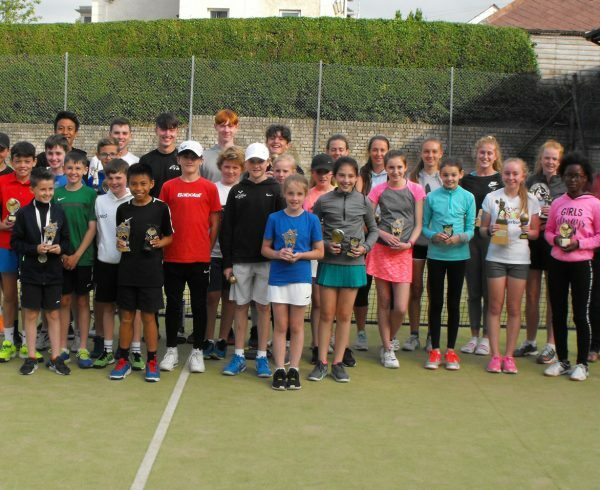 Kyran Maguire won several competitions including the U18 and U16 at the Junior Championships in Enniskillen. He progressed to the final at Castlebar. Ryan Irvine is continuing to make significant progress and won the U18 singles beating Jared on the final in the closed at Enniskillen. 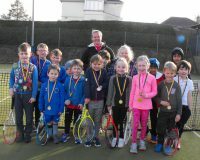 Our younger juniors took part in several under tens events at the Ulster Tennis Masters held at the Belfast Boat Club. Kaelan Deery, Aoibheann King and Rory Smyth featured prominently in all their events. Only illness prevented Kyle Deery from participating in this event but Kyle featured prominently in many other competitions through the year. 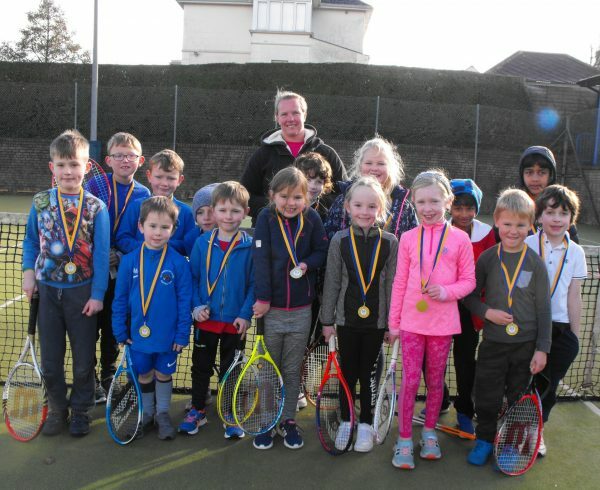 In the closed tournament, a total of 21 juniors took part in the under tens, a fair reflection of Louise McGanns sterling efforts of engaging our youngest juniors throughout the year. Eve Callaghan and Brona Smyth are others who performed with real credit throughout the year. Three Ulster titles in a row came Mount Lourdes way thanks to Sarah Cousins, Eimear Smyth, Anna Guette and Laura, Amy and Ciara Griffin. This was the first team outside the Belfast area to win the senior cup following two years of winning at Intermediate level. Alison Glass was this year’s popular nominee for the Neil Gilmour trophy. 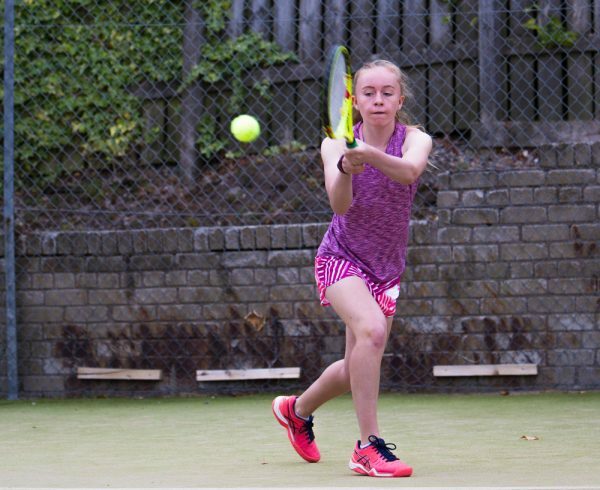 Although Alison is now playing more rugby than tennis, she has contributed much to junior tennis at the club over the past seven years and we wish her well on leaving the junior ranks this year. 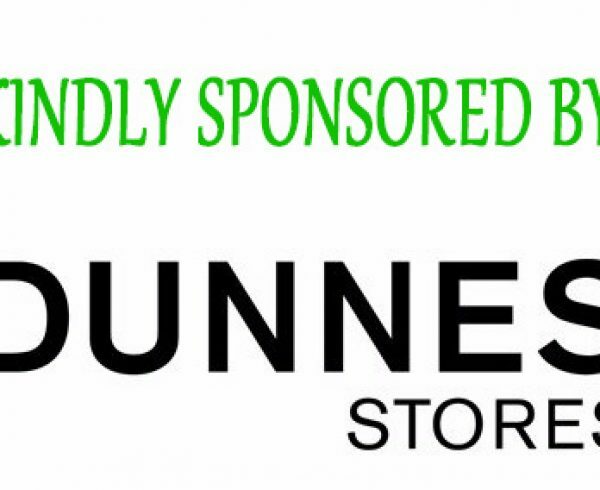 Thanks to our main sponsors- Innes Redmond of Lakeland Veterinary Services, Derrygonnelly and Dunnes Stores, and ASDA who allow us to bag pack raising over £1000. 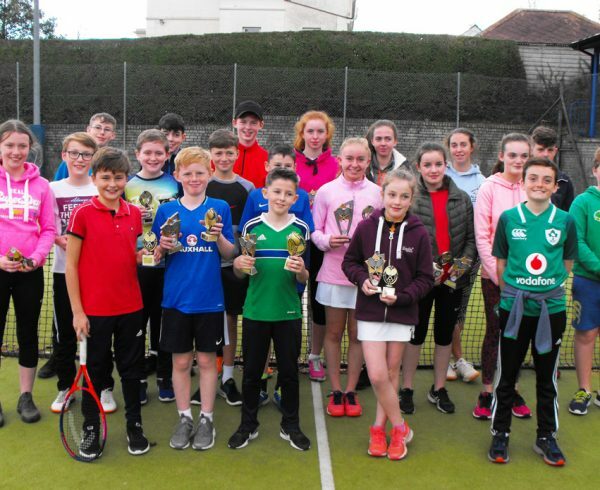 During the year, we obtained funding from the Clear project (£400), Fermanagh Recreational Trust (£600), Club mark (£1000 to come), funding application relating to parks tennis (tennis balls and rackets to the value of £300) and £250 also through Parks Tennis (to come). 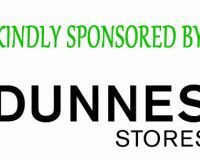 I’d like to acknowledge the significant support I’ve received from Lauren Smyth, Ulster BranchTennis Ireland who has been a constant source of advice. 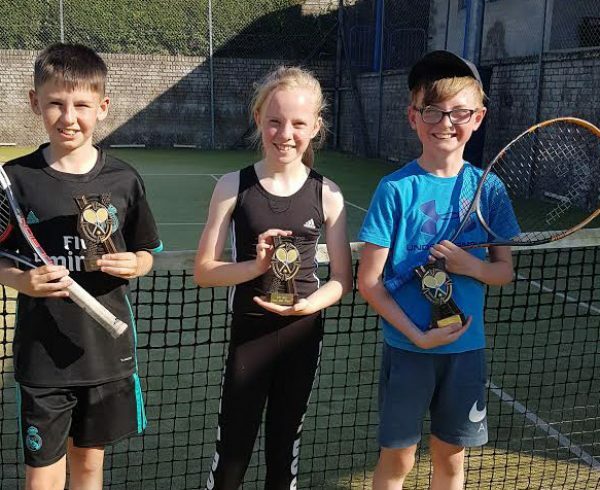 Matthew and Louise are currently taking more junior squads, both recreational and performance to ensure that even more juniors are given an opportunity to improve their tennis skills regardless of their level of ambition in terms of competition. Junior nights continue to be successful with approximately 60 taking part each Friday. 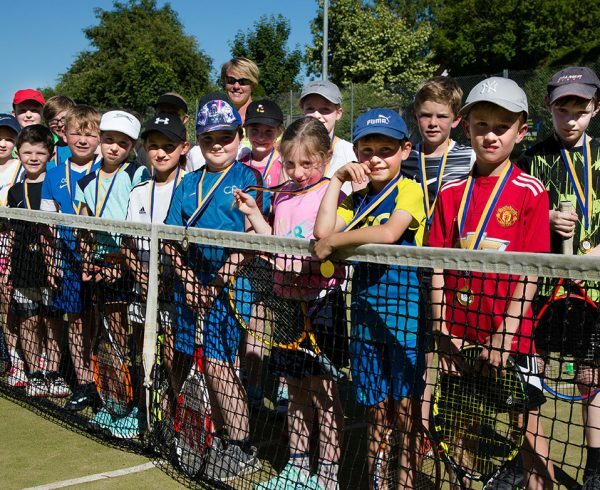 A questionnaire issued during the year indicated an outstanding level of satisfaction amongst parents which is a tribute to the sterling work of Louise and her many coaching assistants taken from the older junior members, most of them acting in a voluntary capacity. Final word to Matthew for his continued efforts in raising the levels of performance amongst our juniors and for engaging with schools to increase the levels of participation which ultimately should result in increased membership at our club. The very last word goes to one of the stalwarts of the junior committee – Evelyn Cousins. Evelyn has served ten years on the committee and has decided not to let her name go forward for nomination this year. She is known for her dedication, hardwork and someone who would just take something by the scruff of the neck and see it through. We all wish her well and thank her sincerely for all she has done for juniors at the club.